Customers of BNP Paribas have been unable to access their accounts online or via mobile app since Wednesday evening - and there is no indication, as yet, when normal services will resume. A technical incident, affecting the banking group's telecoms network has been blamed for the outage - which affects BNP, as well as the online services of subsidiaries Hello Bank and Cetelem. The fault, described as 'an internal IT incident' was discovered late on Wednesday evening. BNP said it was immediately identified and corrected, and services briefly resumed as normal on Thursday morning. Just 24 hours later, however, tens of thousands of customers were again unable to access online services. Card payments and ATM withdrawals are unaffected. 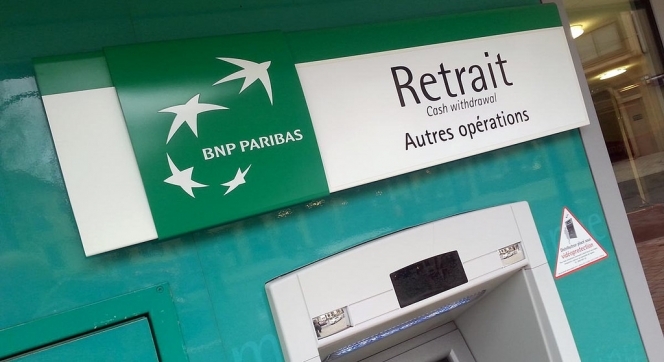 While no deadline for the full restoration of the service has been communicated, a BNP Paribas spokesman told La Parisien newspaper. "Once a failure is detected, a series of checks must be carried out before repairs can be started, which explains the delay. Meanwhile, an update posted on Friday afternoon on BNP's Twitter account read: "The services in agencies as well as our international payment services are fully restored. Our websites and applications are not yet fully functional. We are making every effort to restore our services as soon as possible." Les services en agences ainsi que nos services de paiements internationaux sont entièrement rétablis. Nos sites web et applications ne sont pas encore totalement fonctionnels. Nous mettons tout en œuvre pour rétablir nos services dans les meilleurs délais. It superceded an earlier message apologising for any inconvenience to customers. Chers clients , nous rencontrons un incident général sur nos sites , applications mobiles et dans nos agences . It is the second computer failure to affect BNP in 2019. In early January, a fault meant that card payments, ATM withdrawals and online services were unavailable.